Many of our guests ask about the interior design and furnishings of our rooms. We thought it would be helpful to talk about that in a blog post and here it is. Maybe the first thing our guests notice about our rooms is the almost exclusive use of natural materials. Except for the flat screen TV, wireless modem, and refrigerator in each room you will be hard pressed to find any plastic. All the decor is wood, stone, metal, and glass. 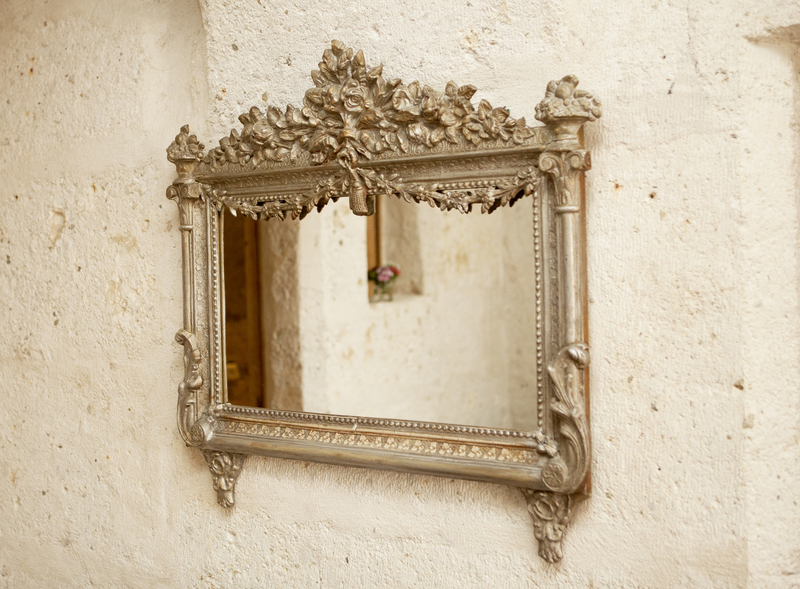 Our owners, Bulent Bey and his son Tolga, have collected antiques from all over Turkey. These have each been carefully selected for each room including refashioning pieces into the beautiful glass covered tables. This includes the old handmade Turkish carpets and even the fireplaces. 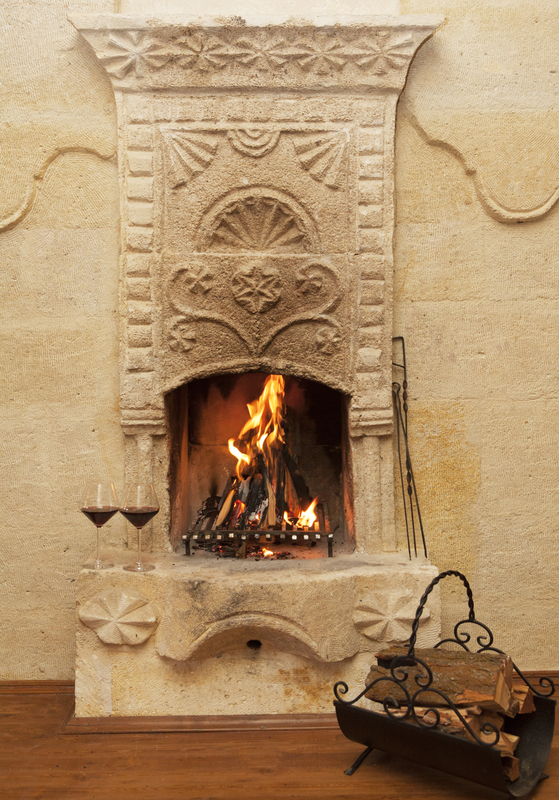 If the room’s original fireplace was not usable, then we searched other old homes to find authentic stone fireplaces. And you can enjoy the fire while lounging in the antique or custom made beds with top quality mattresses in each room. Then we used over 50,000 hand cut Saritas stones from Nevsehir for the inside and outside walls of the hotel. Of course, this does not include the marble used in the spacious bathrooms each of which is fitted with a rain and regular spray shower. Each room was kept as closely as possible to its original shape. The hotel is made up of a number of old houses that have been renovated and luxurified while preserving the basic structure. But we have spared nothing to make our guests comfortable. The tap water is purified making it drinkable. But for those guests who are still unsure, we include 2 complimentary bottles of water in the minibar/fridge. We have also included complimentary coffee and teas and a complimentary 5 o’clock afternoon tea and cake time for all of our guests. All of this has been done to make your time at Taskonaklar as comfortable as possible. If you have any questions, do not hesitate to ask.